Want the latest updates on wire EDM technology? Sign up to FANUC’s Wire EDM Technology Day on Tuesday 19 February where you can see how state-of-the-art wire EDM machines can be for you and your business. With demonstrations of PCD cutting and hole drilling on the machine, as well as Renishaw’s 3D printing manufacturing and online & offline programming, enjoy a programme of seminars from FANUC’s wire EDM specialists. 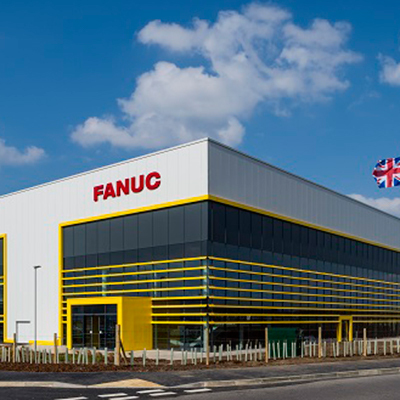 You will also be invited to tour FANUC’s 107,000ft2 UK headquarters in the heart of Coventry’s manufacturing hub, where you will be able to experience its full automation offer, from robots and machining to injection moulding. If you are looking for greater acceleration, ultimate precision of movement and extremely short cycle times, then you won’t want to miss out. FANUC’s ROBOSHOT, which takes state-of-the-art CNC precision technology from turning and milling and applies it to electric injection moulding, will be showcased on the day. With a clamping force up to 5000kN FANUC will be showcasing the largest FANUC injection moulding machine. Home to the robots, you can see FANUC’s extensive range of robots across a wide range of applications, including arc welding and medical devices, ranging from 3kg payloads up to 120kg with a reach of up to 3100mm. You can also see the new generation ROBODRILL vertical machining centre, which promises unrivalled quality and precision at great hourly rates. There is also be a dedicated IoT technology area demonstrating remote monitoring LINKi equipped with a new graphic interface, LINKi is an updated production and quality information management tool that allows you to remotely monitor machines in real time. User-friendly and intuitive, it gives you access to preventive maintenance functions as well as consumable and repair services. Be one of the first to see FANUCs latest data connectivity platform FIELD where manufacturers can connect all of their automation equipment (not just FANUC equipment) to a FIELD system server and shop the FIELD Store for applications designed to decrease equipment downtime while improving operational efficiency, product quality and more.